What Are the Best Tactical Shoes? The best tactical shoes are comfortable, versatile and packed with great features that help you operate under strenuous conditions. 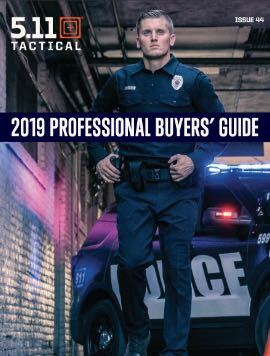 Law enforcement, military and other physically demanding careers – as well as anyone training to reach their peak performance – require tactical shoes with advanced features to keep you protected in specific situations. 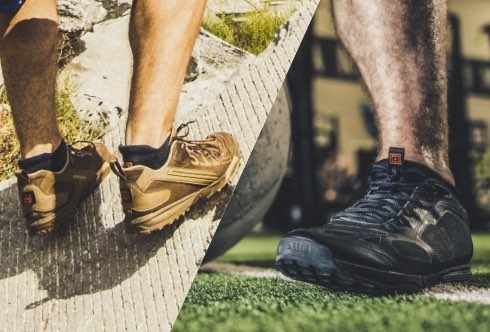 Now that you understand the basics, compare the different models of tactical shoes at 5.11 Tactical® and find out which pair has the specific features you need to train and perform at your maximum ability. When you’re training to be the best, you need shoes made for cross-training and heavy-duty workouts that don’t hold you back. Our men’s ABR Trainers and 5.11 Recon® Trainers are two of the most sought-after 5.11 training shoes. Find out which one is right for you. Men’s ABR Trainers are known as high-performance, purpose-built training shoes. With an incredible grip that provides traction on concrete, rubber tracks and gym floors, the ABR Trainer is ideal for cross-training and heavy-duty workouts indoors or out. The men’s 5.11 Recon Trainer is exceptionally lightweight, giving you the enhanced mobility and flexibility you need when you’re pounding the pavement, hitting the gym or dodging around an MMA ring. You need lightweight, breathable shoes that complement every move you make, keeping you light on your feet and giving you the traction you need. Women’s ABR Trainers and Women’s 5.11 Recon® Trainers are our two most popular women's tactical shoes because they’re versatile, comfortable and easy to coordinate with all your workout gear. Find out which of these designs matches your training style below. Women’s ABR Trainers are designed with your hardest-hitting workouts in mind. Great for cross-training, sports and more, these shoes give you the stability and superior traction you need to perform under the hardest circumstances. Women’s 5.11 Recon Trainers are high-performance shoes made to promote agility so you can run, climb and move in all the right directions. Ultra-comfortable and incredibly breathable, these trainers are the ultimate ally for everyday workouts. Which Tactical Shoes Are Best for You? Each tactical trainer at 5.11 is designed to let you reach your biggest, toughest goals – training to be the fastest, the most agile or simply the best in your field. Need more options? Check out our entire selection of men’s tactical shoes and women’s tactical shoes now.